This is not the Coach i wanted for christmas but I'm still happy cause I got a new purse. =) I love it! 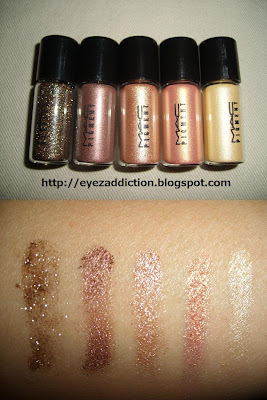 The two pigment set from MAC Holiday Collection. This set is called "Little Darling" each cost $29.00 but right now is on sale for $22.13. They also have 3 lipgloss set and 1 eyeliner set but I didn't get it. The lipgloss sets are sold out! :( I don't really like the eyeliner. 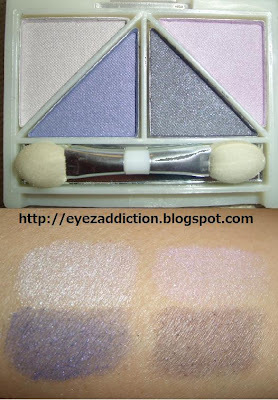 I tried swatching this eyeshadow without a base but it won't show up on my skin. So I used NYX Jumbo Eyeshadow Pencil called "MILK" as a base. 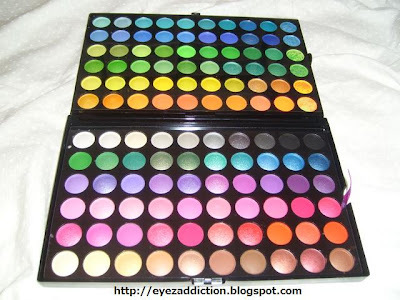 I don't like this eyeshadow because it has this weird smell. My cousin fell inlove with this stuff animal sheeps when we saw it at Bath and Body Works. This stuff animal are so cute and soft. I decided to buy it for her for christmas. I got it only for $3 dollar each during Black Friday Sale. 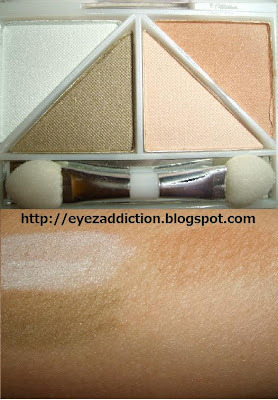 I bought this ELF eyeshadow quads at Target for only $1. Not all Target sale this product so you have to call your local Target Store if they have it on stock. 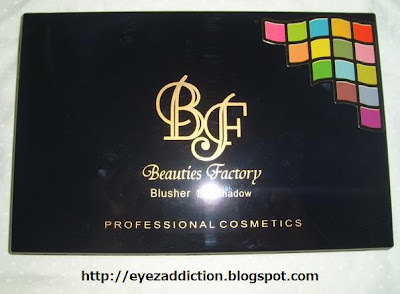 You can also get this item at Eyeslipsface.com also for a $1. 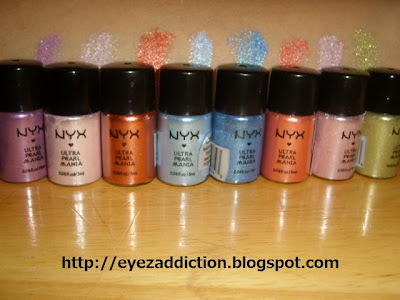 I swatched this eyeshadows without a base. 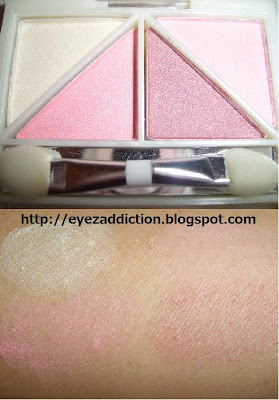 Review: This eyeshadows are great for beginners who are just starting out with make up. 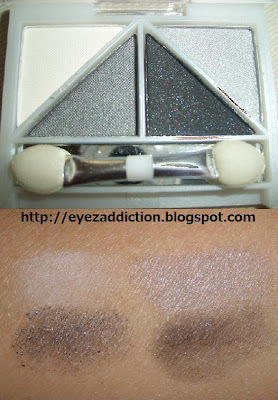 The quality of this eyeshadows is not bad for a dollar. 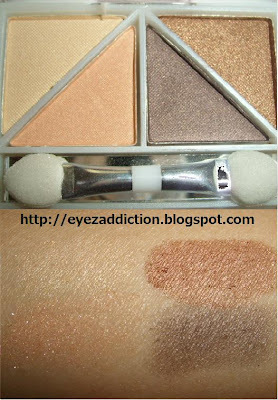 My favorite quad is the Butternut which is the neutral colors. I love it! I used whenever I want a natural look. 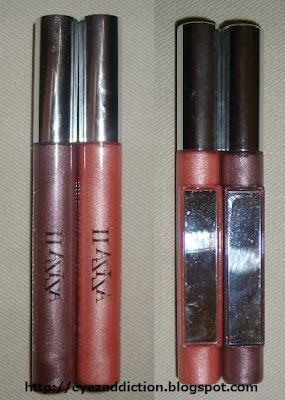 Review: This is the lipgloss that made my lips so Itchy and it feels like my lips is going to fall off. Review: Oops! 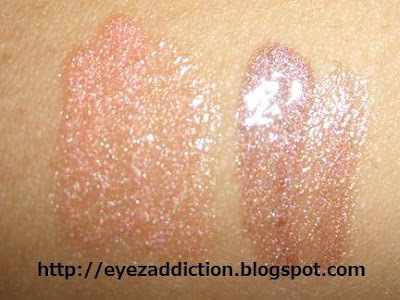 I mistakenly made a wrong review about this Lipgloss. I thought this was the one that made my lips itchy but it wasn't. 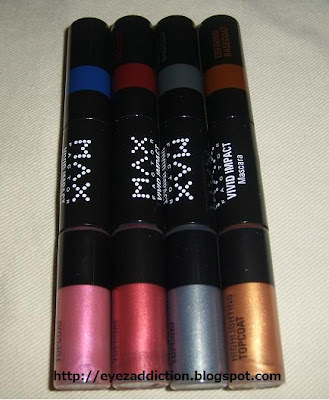 It was another brand of Lipgloss that I also got from the Dollar Store which I will talk about in my next post. 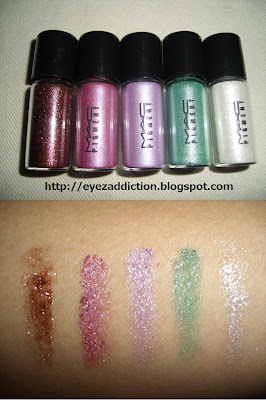 This is the lipgloss that I liked =) This product reminds me a lot of Maybelline Lipglosses. Try it and you will like it! This lipglosses have a sweet smell to it. Love it! 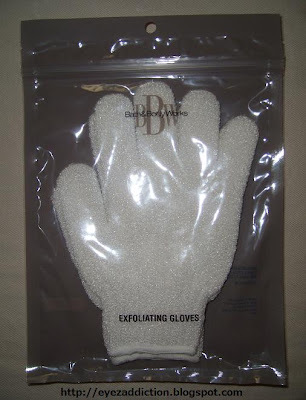 Review: I bought this product after I saw Carmen Electra's Ad in a magazine. I really want to copy the exact look but I can't make the mascara to show up like in the picture. I give it a 3 out of 5? 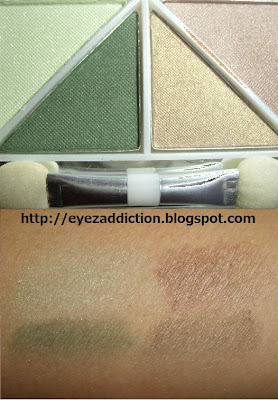 I swatched this eyeshadow without a base. 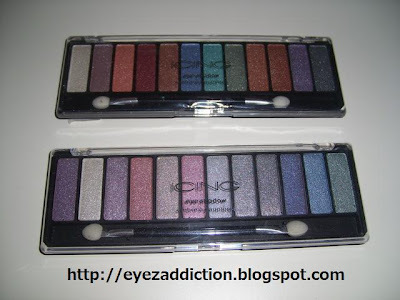 I think this eyeshadows are very pigmented but for some reason it doesn't stay all day in my eyes even with a base. I used UDPP (Urban Decay Primer Potion) as a base. I always had to retouch in the middle of the day. My favorite color is the purple and green it looks great together.